Right in time to kick off the weekend, Marvel Studios' released BLACK PANTHER teaser trailer and black comic book fans went wild. After watching the trailer, the first thing I can say is Marvel Studios just take my money now! 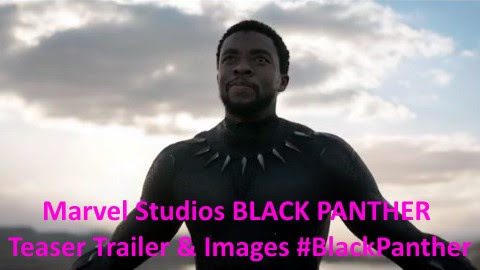 Of course black comic fans weren't the only ones going crazy over the BLACK PANTHER teaser trailer, but lets face it, the black community is due a black superhero story! And from the BLACK PANTHER teaser trailer looks like Marvel Studios is going to give us a good one! After watching the trailer (a few times), I can tell there's lots of ties-in from other comics and movie story-lines. But I'll save my thoughts till I see and learn more about the film. But for now, did you see the scenes with Lupita Nyong'o and Michael B. Jordan?! I can't wait for the February 16, 2018 release of BLACK PANTHER!